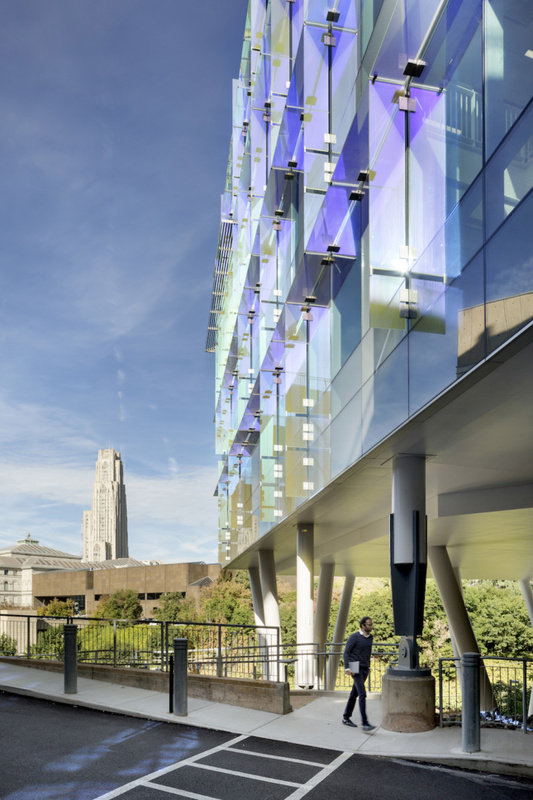 Portland-based studio OFFICE 52 Architecture designed the new 109,000-square-foot interdisciplinary Nano-Bio-Energy Technologies Building at Carnegie Mellon University with a glass facade that plays with form, texture, and color. 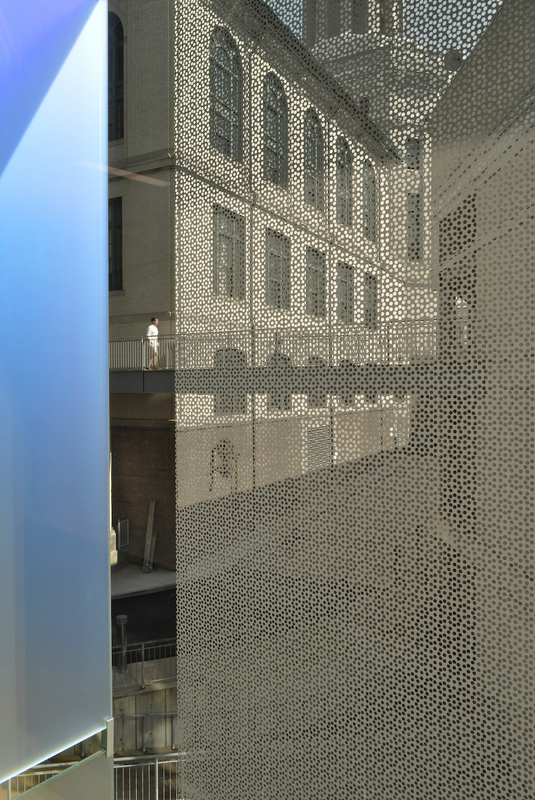 The skin that lines the north wing of the Sherman and Joyce Bowie Scott Hall features a range of vibrant materials: dichroic glass, clear and frosted glass layers, and a micro-thin layer of metal oxide created by a process that echoes the nanotechnology work taking place in the facility. 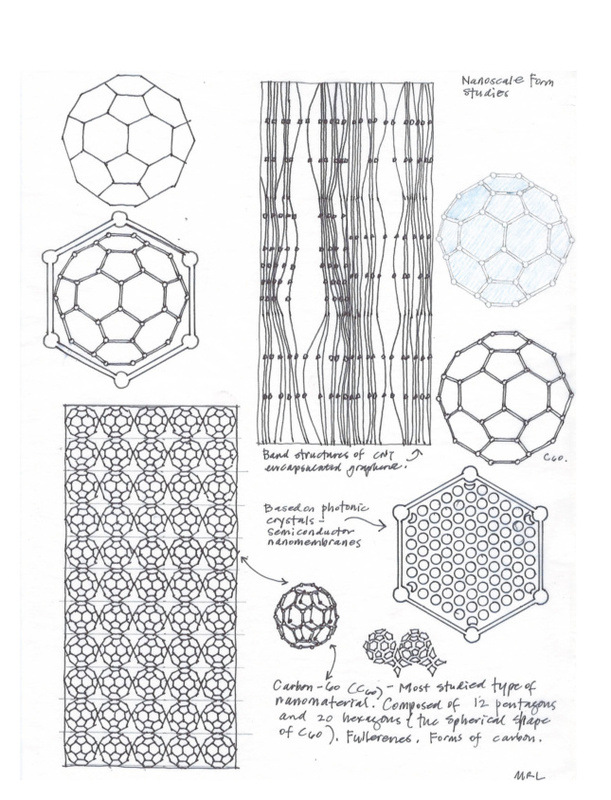 “It all has to do with photons, which is essentially light. We wanted to give the building a timeless quality in terms of the custom nanotechnology-inspired frit motif juxtaposed by the dichroic glass,” said Michelle LaFoe, principal of OFFICE 52. 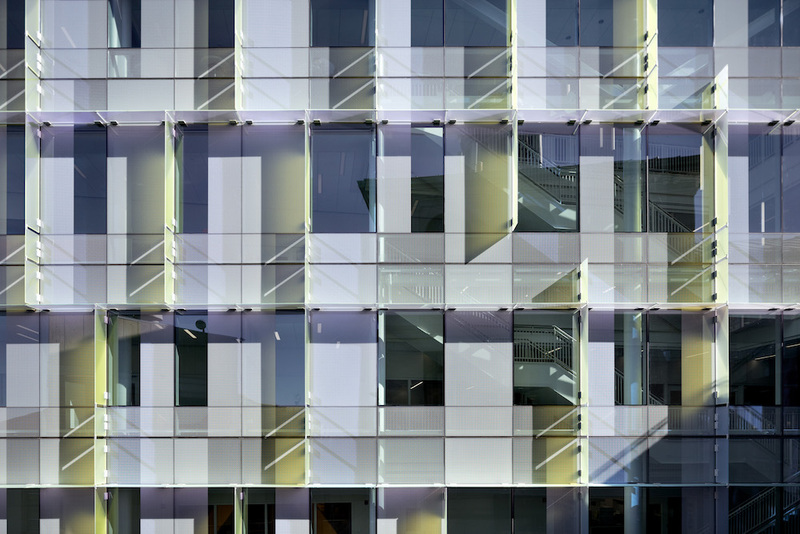 In effect, Scott Hall’s curtain wall creates spaces that glow with light that has passed through the glass layers and has diffused into a plethora of colors—from warm amber to cool grape to saturated cyan, depending on the wavelength of the light beam. Lending the building an aura of luminance, a rainbow of color changes transpires throughout the day according to the angle the sun moves through the glass. These qualities are created by Schott AG fins—vertical in Narima Orange and horizontal in Narima Blue|Gold. Both are laminated between Vitro Starphire low-iron glass using DuPont’s SentryGlas laminate, a clever combination paired with a custom frit that allows birds (who naturally have a tetrachromatic visual system with a heightened color perception) to see the color in the dichroic glass. Together, the dichroic fin colors and the ceramic glass frit’s printed pattern with a custom subtle gray is what the birds see, ultimately functioning as a safety feature. The structure is one of the first research-grade clean facilities in the country to be certified LEED Gold, a feat that both partners attribute to the collaborating engineers and fabricators: “Innovation was most easily achieved when we worked together to fabricate custom fins. Collaborating with the engineers (Arup) and the dichroic glass manufacturer (Schott AG) is an example of collaboration to get the best use of the best products,” said Isaac Campbell, principal at OFFICE 52.